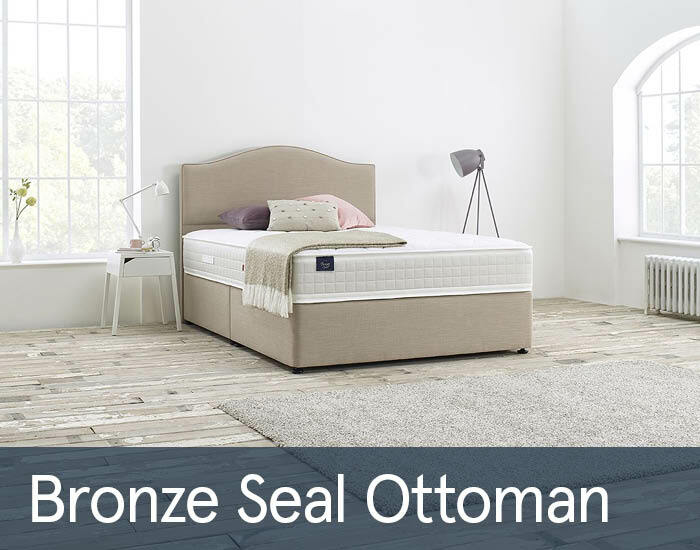 Slumberland Bronze Seal ottoman bed from the Slumberland Vintage Seal collection benefits from the mattress that combines 1800 pocket and PostureFLEX springs to give three dimensional support, molding to your body contours. The Bronze Seal open cell Rheia foam delivers up to four times more airflow than standard foams, allowing greater breathability. Range also benefits from luxury natural fillings for exceptional comfort and pressure relief. The Ottoman Base ingenious mechanism, using gas rams, assists with opening the ottoman when accessing your stored items. The range is available in Single, Double, King and Super King size.